The Ava’s Grace Scholarship Program 2019 application is now available through April 15th, 2019. We are 100% integrated with Scholarship Central and you can find the link to our application as well as eligibility requirements HERE. All applicants will need to sign up, register an account, and complete the general application. 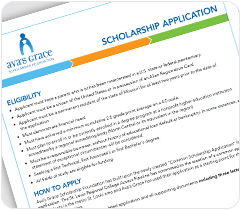 Once the general application is complete, applicants will be granted access to the Ava’s Grace Scholarship application that can be found under the Opportunities tab. All applications must be completed in the Scholarship Central system by April 15th, 2019. Late applications will not be considered. 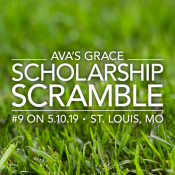 As of 2018, Ava’s Grace Scholarship is a program of The Scholarship Foundation of St. Louis. For questions regarding this application, contact The Scholarship Foundation of St. Louis at (314) 725-7990 or info@sfstl.org.